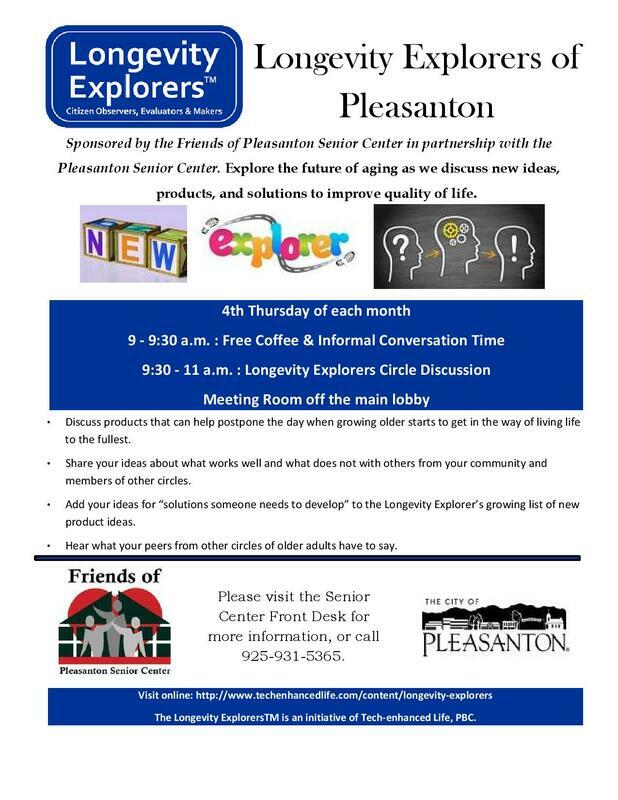 Jeannie Slater, from Senior Support Program of the Tri-Valley will speak about the various opportunities and choices for senior living in the Pleasanton area. She will talk about 15 minutes and then answer questions. She can tell us about our choices like, in-home caregivers, assisted living, independent living and memory care.